The Holiday Season is full of special traditions from all around the world. One of the biggest symbols of this holiday season is that of the great Christmas Tree. Each year growing up my family would go to a "cut your own" tree lot and pick out a tree. Sometimes us kids would trade off picking the best evergreen to bring home. One year my brother was selected to choose and he found the ugliest, biggest, bush like tree in the lot. It was huge! They could barely get it through the tree shaker and into a net. Bringing it home my dad cut the netting holding all the branches down and WOOSH!! The tree filled up half of our living room. It ended up sitting in a muck bucket with bricks and a rope held it up to the wall with a big screw. Never will we forget the tree that year, it was the great beast. As I have grown and left home I carry this tradition on. My husband and I have trekked through the hills of Idaho and cut our own family Christmas tree down. Part of this tree cutting ritual is singing, "Oh Christmas tree, oh Christmas tree…" and none of us know all the words so often we will just "da-da da-da" as we saw the great tree down. I love the great symbol of the beautiful Christmas tree. Another symbol that is shared around the world during this holiday is that of Santa. He may be called something different and the tale of how he came to be may differ a bit from country to country. But Santa is a celebrated character of the season. In Germany there is a wonderful little tale of the Christmas Pickle and Santa. I learned of this great story and tradition when I was living in Pennsylvania, USA. With the dutch and german people who settled that land they have deep roots of that heritage in their people and so the pickle story was told to me and now I tell it to you. the first to find it gets a sweet surprise. you'll look for the pickle year after year." 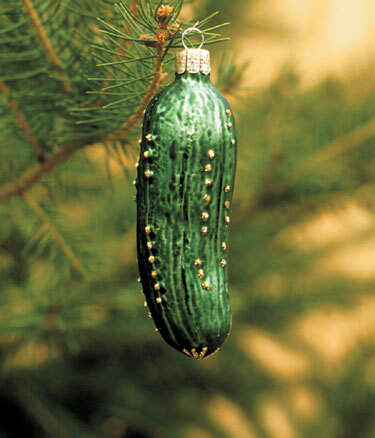 And so this year, don't just eat a pickle, hang one on the tree and carry on this great holiday tradition. 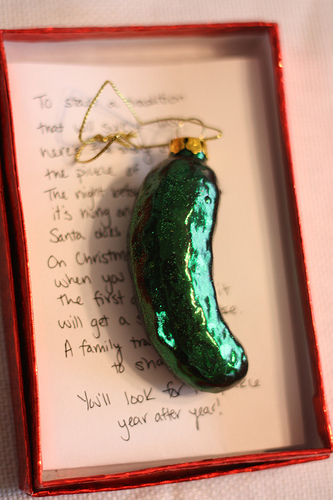 Go find yourself a pickle ornament and start the great hunt for the pickle in your tree! Many families will set the pickle by Santa's Cookies and Milk on Christmas Eve to let him hide the great pickle in the tree. This makes the pickle tradition even more magical when Santa gets to hang it. 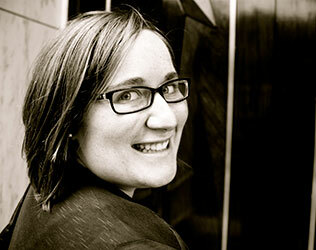 The surprise for who finds it can be anything, but traditionally it would have been a small treat of some sort. Happy Holidays to you and happy pickle hunting. If you have traditions from your heritage we'd love to hear about them, share with us in the comments below.